Forty years after the Woodstock music festival, downtown Las Vegas is looking for people who want to relive the groovy days of 1969. The Fremont Street Experience is paying tribute to 1969 all summer with free rock concerts, plenty of tie-dye T-shirts and peace symbols to trigger memories of a year many people say resonates with them to this day. The bands expected were heavy hitters in the day — Blood, Sweat and Tears, Three Dog Night, the 5th Dimension, Rare Earth, the Grass Roots and Canned Heat. Organizers have hired John Van Hamersveld — an artist recognizable for his movie artwork for “The Endless Summer” in 1966 and for the cover of the Beatles’ “Magical Mystery Tour” album in 1967 — to paint two buses, one to be used as a stage. Special video shows planned for a giant screen hanging over the street include a rolling-credits style memorial for the 58,000 Americans killed or missing in action from the Vietnam War. The comprehensive promotion gives tourists an excuse to celebrate hippy sensibilities, the first astronauts walking on the moon and Woodstock. 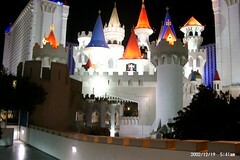 But the 10 casinos located in the venerable section of Las Vegas are hoping the 108 days of throwback entertainment result in more visitors to help revive the city’s top industry. “It’s coming at a time when it plays well,” said Jeff Victor, president of the Fremont Street Experience, the management company in charge of promoting the destination. 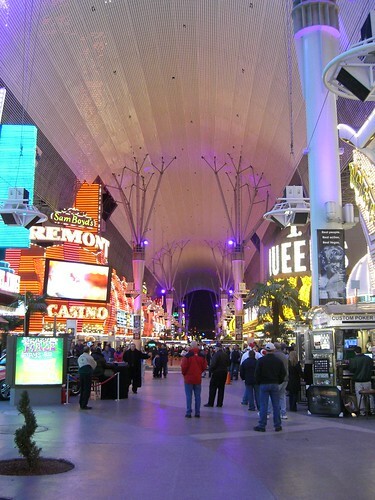 Victor said he and others felt Fremont Street didn’t do enough events during the summer. Day weekends, $500,000 more than it normally would during the season. Officials want to increase the share of Sin City visitors that go downtown, less than 3 miles north of the end of the Las Vegas Strip. Victor said each casino is also making plans to tie to the 1969 theme. Forty years later, Las Vegas finds itself scrambling to reach visitors who are coming less often, spending less money on food and entertainment and not gambling as much. Visitor volume was down 10 percent for all of Las Vegas for the first two months of this year compared with 2008, according to the latest figures available from the Las Vegas Convention and Visitors Authority. Casinos downtown earned $83.9 million in gambling revenue in January and February, down 17 percent from the first two months of 2008, the tourism agency said. 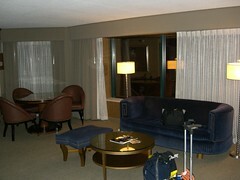 Other casinos in the rest of the county experienced similar declines. 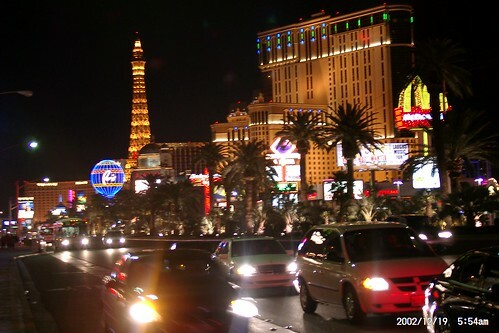 But a recent profile study by the tourism authority showed that 46 percent of Las Vegas visitors in 2008 spent some time downtown during their trip. That was down significantly from 57 percent in 2006, but up from 40 percent in 2007. The 10 casinos on the Fremont Street Experience have a combined 6,600 hotel rooms — 4.7 percent of all the hotel rooms in the city. 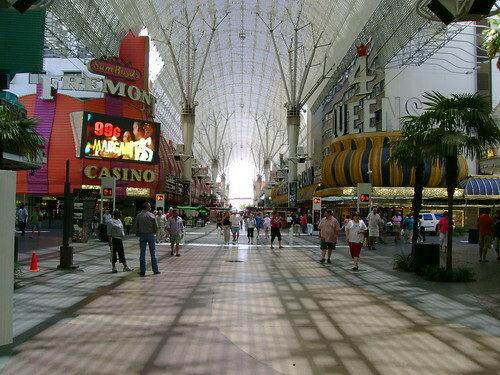 Victor said the 1969 campaign could be first of several seasonal themes for Fremont Street — if downtown can pull it off. “We’ll be checking to see a promotion of this duration is repeatable,” Victor said.